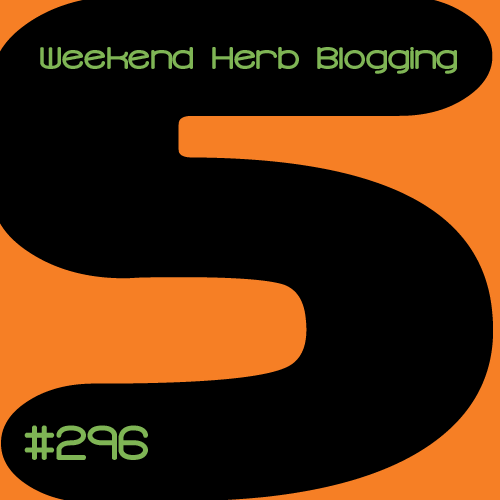 Fresh fruits and vegetables abound in this edition of Weekend Herb Blogging! I’m pleased to present a lovely array of not only delicious food, but also beautifully styled and photographed. Enjoy Drool-worthy dishes from dedicated and talented food bloggers around the world! 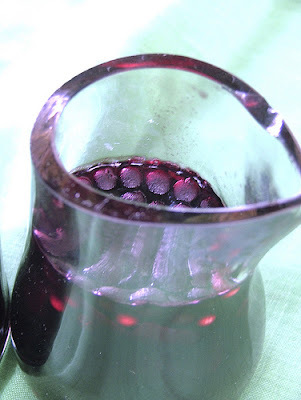 With lovely photos of hiking on the “Sentiero del Ponale”in the Lake Garda area of Italy, Briii of Briggishome doubled her fun by also picking elderberries to make Pontac Sauce, a savory fruit sauce perfect to serve with fatty meats like duck, goose and pork. Briii is also the host of the Italian version of WHB. With the luscious fresh tomatoes that are in season in many parts of the world, Cinzia of Cindystar, who also blogs from the Lake Garda area of Italy, makes Pomodori Freschi Ripieni-Fresh Stuffed Tomatoes. 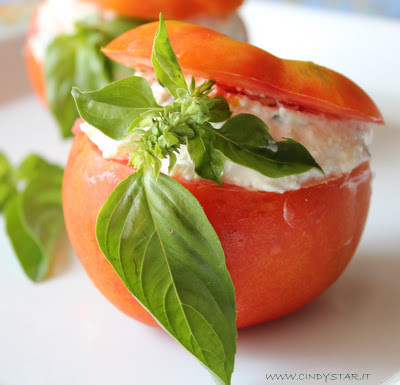 The tomatoes are hollowed out, drained and stuffed with chopped fresh basil, bread crumbs and yogurt, then garnished with a gorgeous sprig of basil. 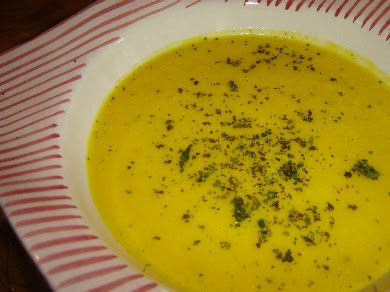 From the lovely island of Keaau in Hawaii, Claudia who blogs at Honey From Rock cultures her own batch of kefir which she adds to her Cold Curried Pumpkin Soup. Inspired by babysitting her grandson’s kefir culture, Claudia now makes her own kefir and praises its health benefits. Claudia is making a salad dressing with kefir and suggest adding kefir to other cold soups such as borscht or potato leek. 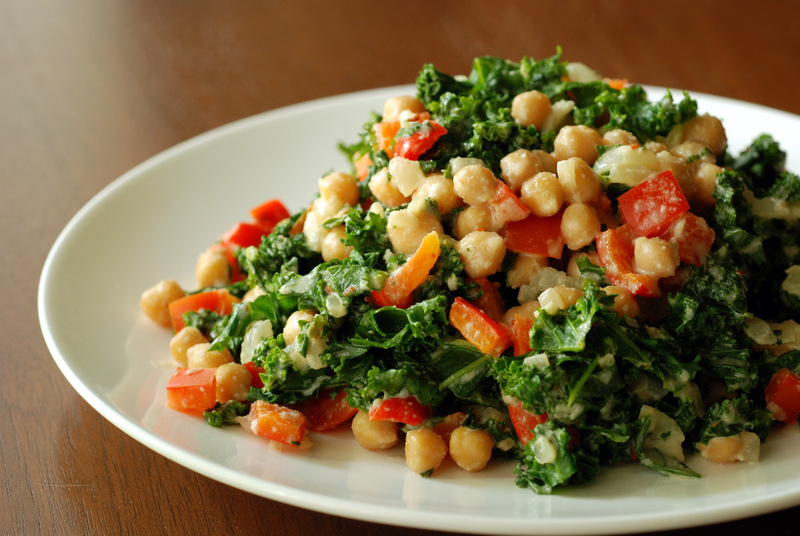 Dressed with a creamy cashew-based garlic sauce, this Creamy Cashew Kale and Chickpeas salad from Janet of The Taste Space is a perfect side for a gathering of friends and family. Served warm or at room temperature, this colorful combination of kale, chickpeas and red bell pepper is only one of several delicious salads that Janet from Toronto, Canada has mentioned for her famous potluck dinners. 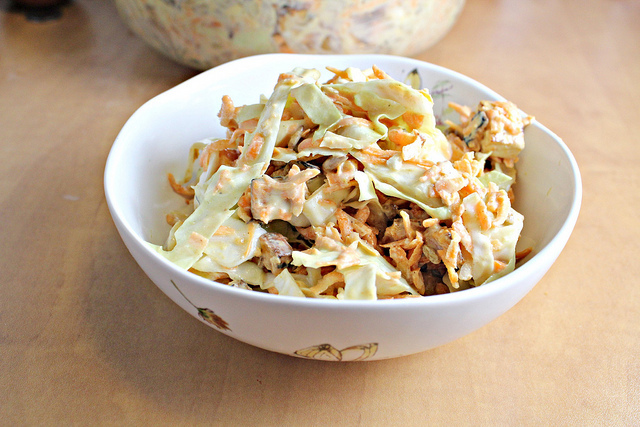 Just the name of the recipe, Tupelo Honey Coleslaw with Sweet Potatoes and Sunflower Seeds conjures up a cooling dish to combat the sultry dog days of summer here in our Northern Hemisphere. Adapted from the Tupelo Honey Cafe in Asheville, North Carolina, Joanne of Eats Well With Others uses Greek yogurt instead of a mayonnaise base and adds healthy roasted sweet potatoes, shredded carrots and sunflower seeds for extra crunch to the cabbage mixture. Wintermelon and Meatballs in Tomato Sauce, an unusual, but delicious summer dish comes from Tigerfish who blogs at Tezscape-An Escape to Food. Wintermelon whose nom de guerre suggests a winter produce is actually a summer melon, but because of its white ash or wax suggests frost, it is so named. 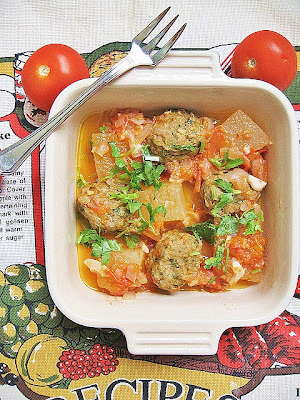 The sweet taste of the wintermelon is perfect complement to the savory meatballs with tomato sauce. Roasted balsamic strawberries stars in Frittata with Roasted Strawberries and Homemade French Neufchatel Cheese from Simona of Briciole in California. Having successfully made gelato with roasted strawberries, Simona uses them in one of her favorite savory dishes. 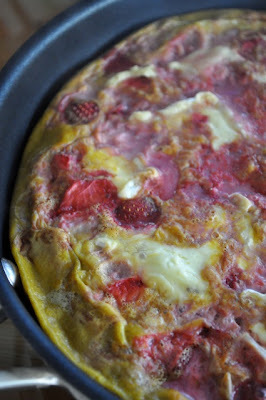 A tantalizing eclectic frittata incorporating a homemade French Neufchatel cheese. An ancient grain, Freekeh is roasted green wheat much higher in healthful properties than mature roasted wheat. 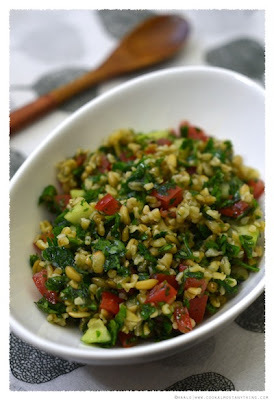 Haalo uses cracked Freekeh as a substitute for the traditional bulgur wheat to make Freekeh Tabbouleh, a delicious Lebanese salad of herbs, tomatoes, and cucumbers dressed with a lemon vinaigrette. Haalo is the lovely manager of Weekend Herb Blogging having taken up the gauntlet from Kalyn of Kalyn’s Kitchen. 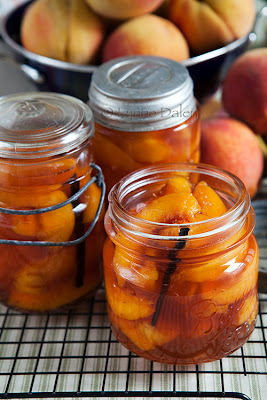 My contribution for WHB #296 is Bourbon Poached Peaches, making use of the abundance of fresh peaches now available this season. The peaches are great served over vanilla ice cream and will keep refrigerated for up to a month. If I have missed anyone, I apologize-just let me know and I will update the roundup. Chris from Mele Cotte is hosting WHB#297. What a colorful roundup! It contains a nice set of very interesting recipes. Thank you so much for the elegant presentation. Such a delicious array of delights! Love your bourbon poached peaches, wouldn't have to worry about keeping them, they would be eaten way too quickly 😉 Thanks so much for hosting!